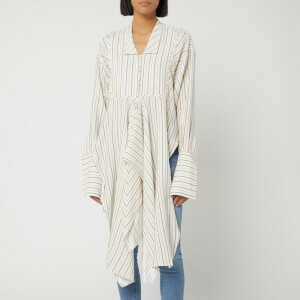 Women’s stripe panelled blouse from British fashion house, JW Anderson. 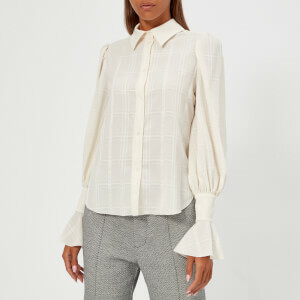 Crafted from crepe de chine silk, the flowing blouse is designed with different striped patterns in contrasting tones and woven structures for a unique aesthetic. 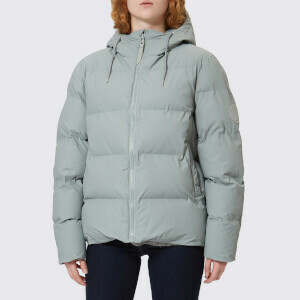 The shirt is detailed with a collarless neckline, a four-button placket and oversized sleeves with drawstring cuffs for a ruffled effect. Complete with trailing ruffled fabric to the front of the asymmetric hem, whilst the back is cut with a straight hem. Main: 100% Silk. Trim: 100% Cotton.